Food-wise, Latvia has many things in common with its neighbors, Estonia and Lithuania. Potatoes, wheat, barley, and rye are staples. Meat is the centerpiece of many meals. Latvia is a huge producer of dairy products, and you can see this in the cuisine. Sauerkraut is a favorite, each family preparing sautéed sauerkraut its own way. Cranberries and other wild berries are turned into deserts. Foraging is a common way to gather food, and foraged mushrooms are pickled or prepared as a sauce, as they are here. I wanted cook a traditional Latvian food for this project. 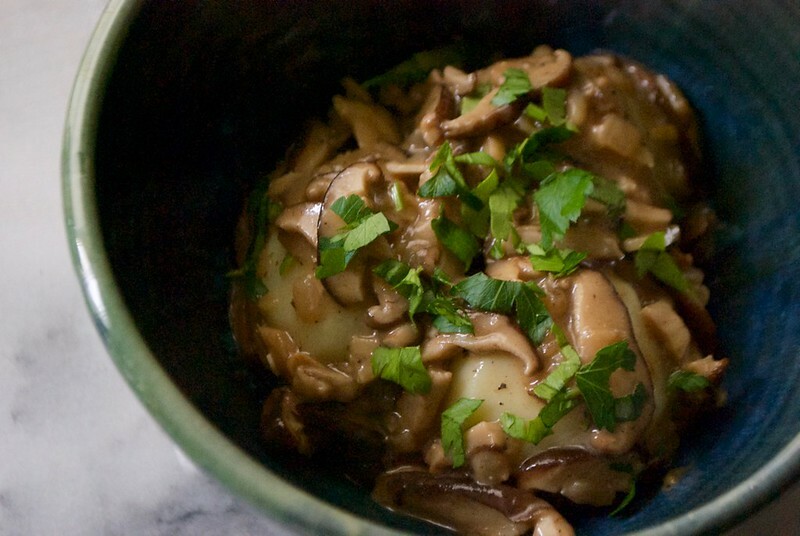 This mushroom sauce is very simple, but it’s also a celebration of Latvia’s foraged mushrooms. If I were making the most authentic, Latvian version of it, I might make it with boletus mushrooms, which are abundant in Latvian forests and one of the most popular varieties for cooking. I didn’t have access to any boletus mushrooms, so I used locally grown shiitake mushrooms from my CSA share. 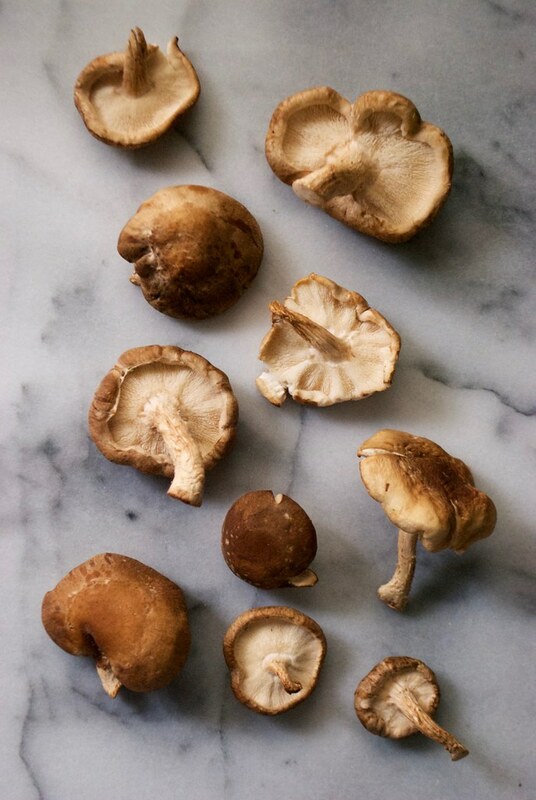 You can use your favorite locally grown or foraged mushrooms in this sauce. I first came across this sauce in this 1984 archived New York Times article on Latvian cuisine. I also saw it mentioned as a favorite in this blog post about foraging in the Gaujas National Forest, and this blog post on common varieties of Latvian mushrooms. Some versions of the sauce include bacon or ham, and others don’t. I have chosen a bacon-free version to suit my own preferences. I served the sauce spooned over peeled and boiled potatoes, topped with parsley, for a hearty lunch.